Stage six was a hard, long day of difficult navigation in the vast dunes of Tanaka. When it was all over, Pablo Quintanilla had taken the stage victory as well as the overall lead in the rally, pulling ahead of previous leader Ricky Brabec by a good four minutes. As far as other Americans, there was good news and bad news. The good news was that Andrew Short had another solid ride, finishing eighth on the stage and maintaining 10th overall. The bad news was that rookie Skyler Howes, who was having a spectacular first Dakar, crashed hard and was transported out by helicopter. His rally is over. His teammate Garrett Poucher is still running. He was 47th today and is in 46th overall. Nathan Rafferty is in 53rd overall. The riders were forced to ride a 177 km liaison section on their day off yesterday to start the first special this morning. KTM’s Sam Sunderland, who won the previous stage, was the rider opening the route, which is always a disadvantage in the dunes. It wasn’t long before he lost time to most of main rivals. Quintanilla and Honda rider Kevin Benevidez were catching him though the day. Brabec had minor navigation issues, but still holds excellent position for the remainder of the rally. 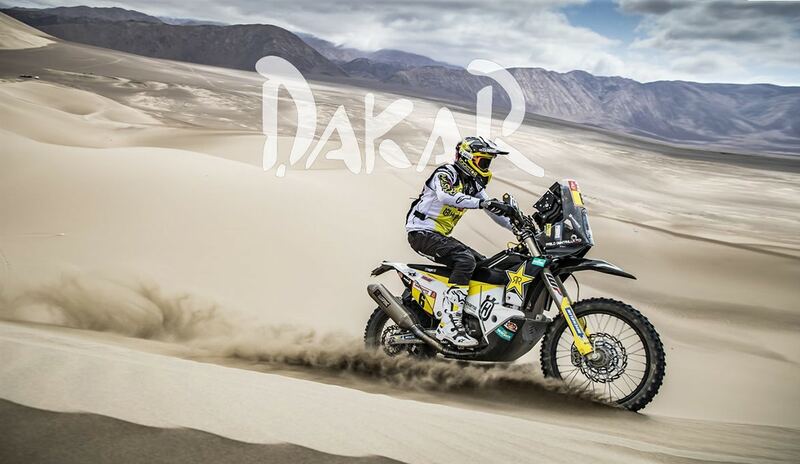 Ricky Brabec is still holding second place in his best Dakar performance to date. Andrew Short sits solidly in 10th. 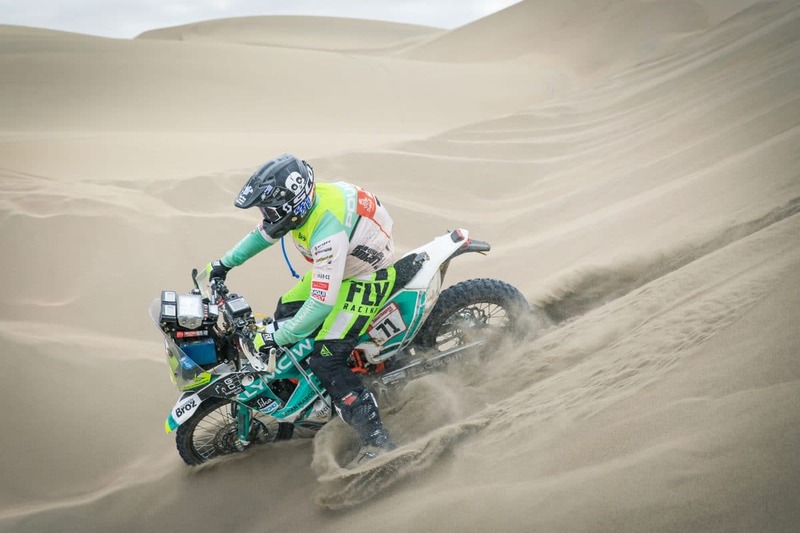 Sklyer Howes was forced to drop out of stage 6, after a spectacular first half that saw him running with the Dakar elite. Garrett Poucher is still running after six days. Photo by Justin Coffey.